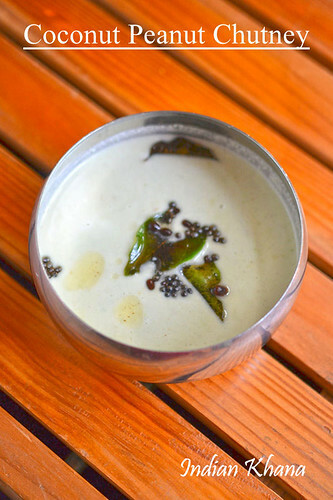 Vendakkai Mor Kuzhambu or moor kulambu is mildly spiced yogurt base South Indian curry, mostly served with steamed rice as side. 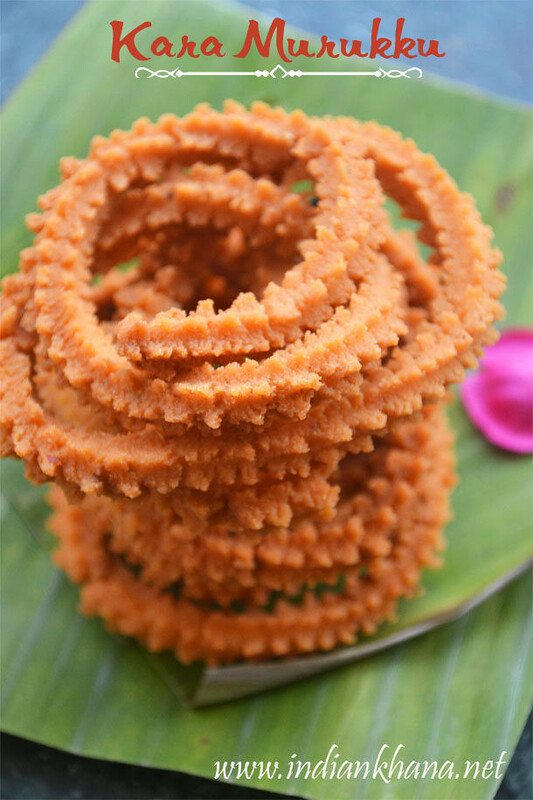 Mor kuzhambu made with variety of vegetables, fritters and the base curry or gravy recipes remains same with little variations. 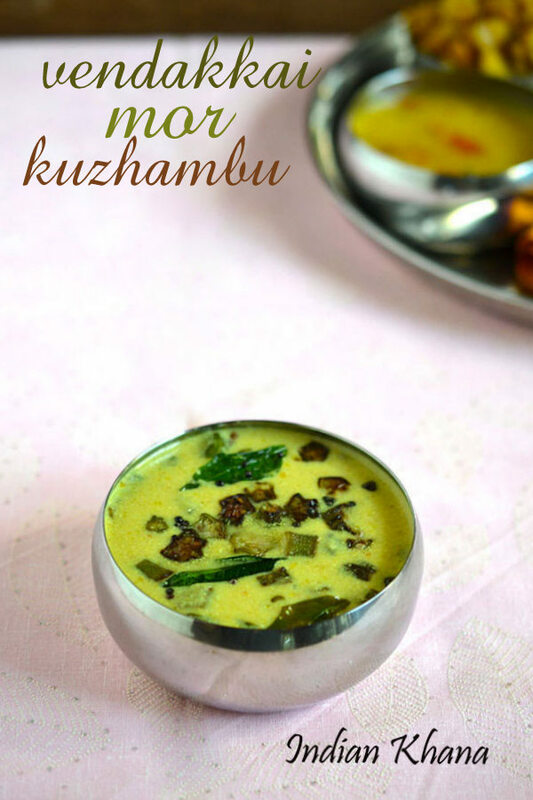 Mor kuzhambu is like answer to North Indian Kadhi and it's also curd base and chana dal is used instead of besan, both do taste little similar too. 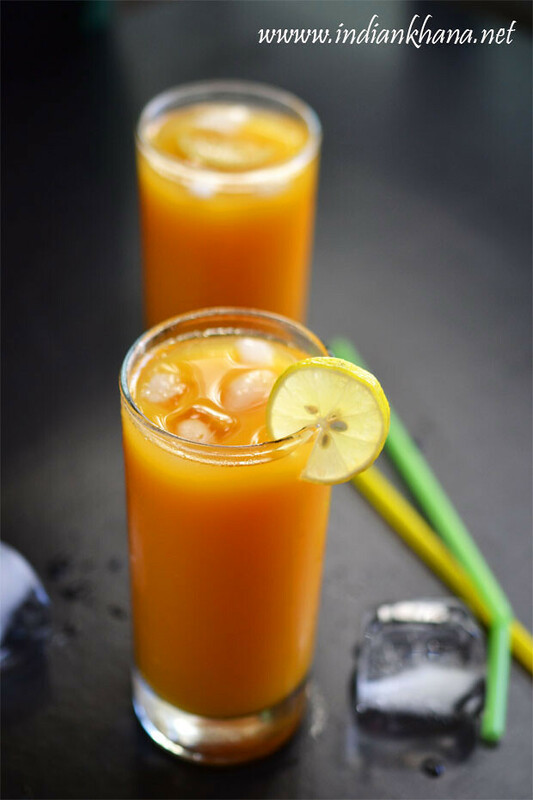 Neer Mor, neer more or spiced buttermilk is easy, quick buttermilk recipe with addition of few extra ingredients to take humble buttermilk or chaas to all new level. 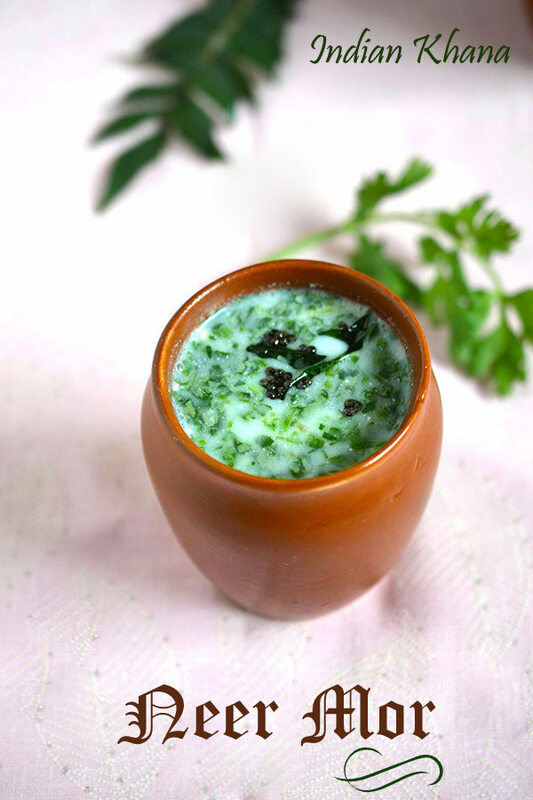 Buttermilk is great option to keep our-self hydrated during hot summer days or we can serve this as appetizer, beverage too, I made spiced buttermilk, masala buttermilk and other few variations specially to serve with lunch during weekends or to complete a thali menu. 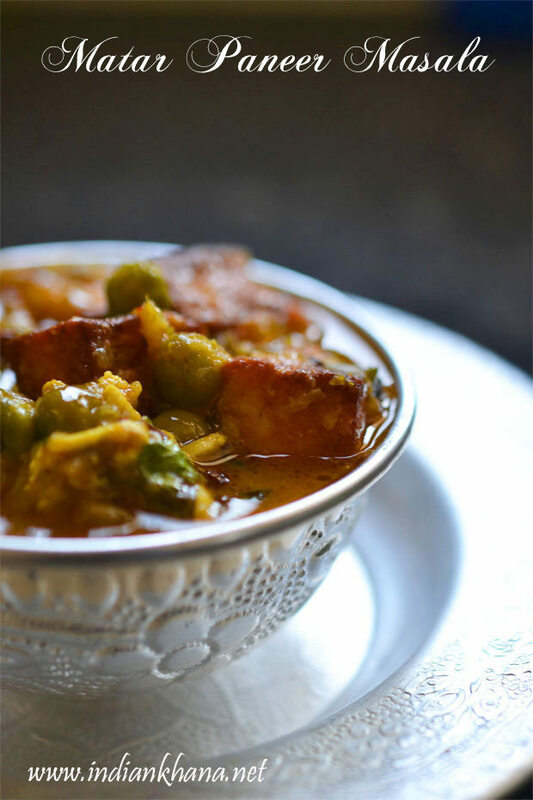 Potato fry (stir fry), aloo sabzi, urulai kilangu poriyal whatever we may call it this has to be one of the popular, easy, quick and delicious potato recipe. 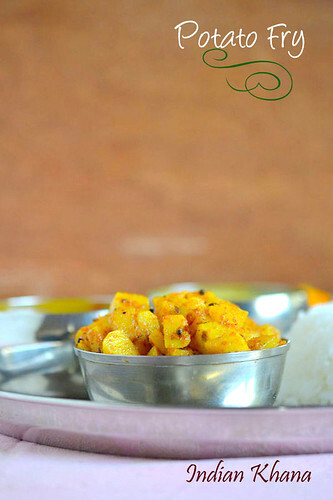 Potato fry is something that I make very often for a simple reason that it goes well with almost every thing whether it's roti, paratha or rice with dal, rasam, sambar and also that it's so easy and quick to prepare. 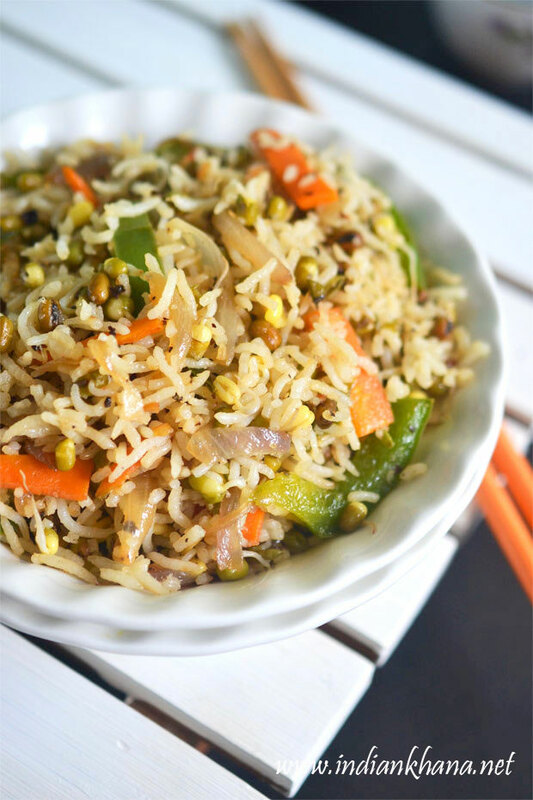 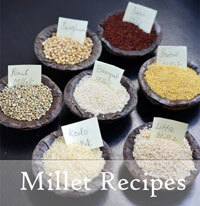 It's taste good with everything making it great combo and perfect for those lunch boxes. 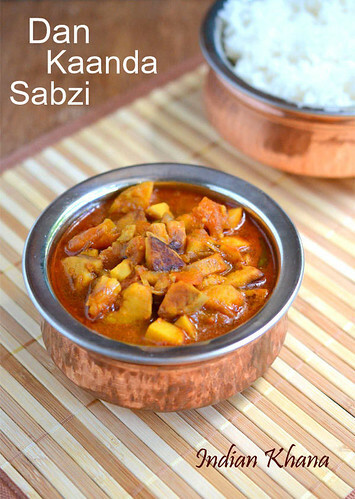 Dan Kaanda Sabzi (tari) or Pidi karunai kizhangu curry as it's called in tamil is similar to yam or colocasia (taro root) but it's not elephant yam or colocasia as some people think. 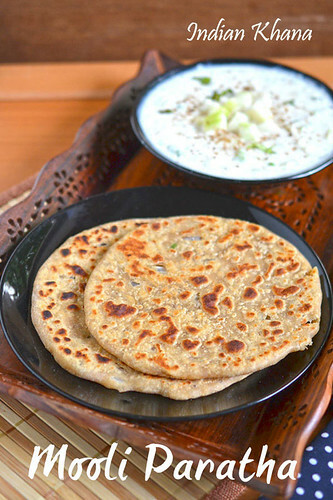 I don't know English name for dan kaanda and this is the name that my in-law place known as. 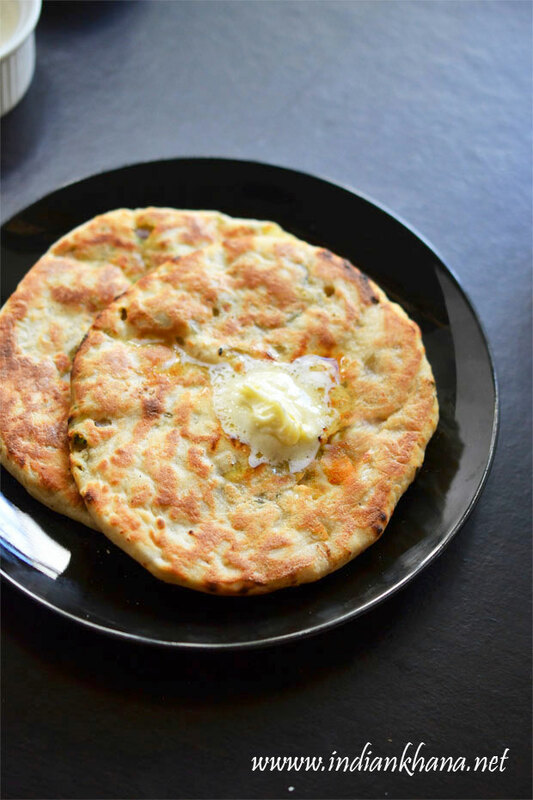 Dan kaanda texture is similar of colocasia but it taste little different though some times dan kaanda can also cause itchiness. 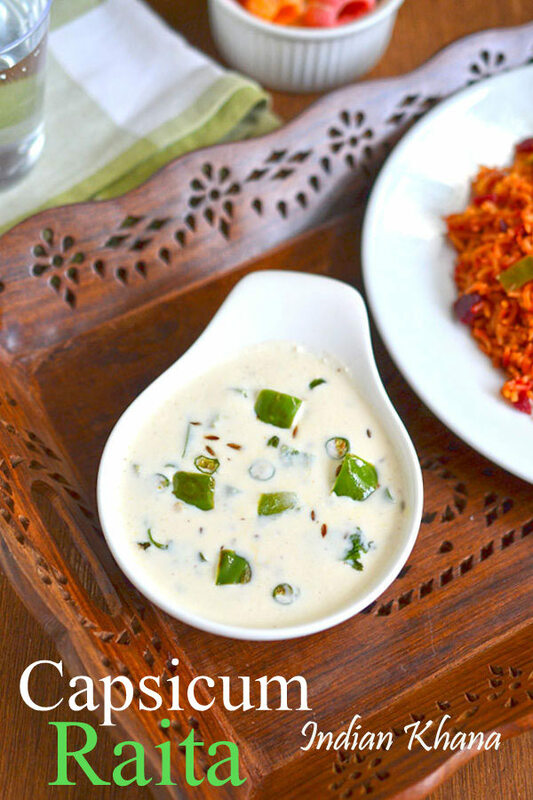 Coconut peanut chutney is easy, quick chutney recipe with minimal ingredients, it's different from normal coconut chutney here we use peanut instead of roasted gram or daliya and peanuts brings sweetness and flavors to this chutney. 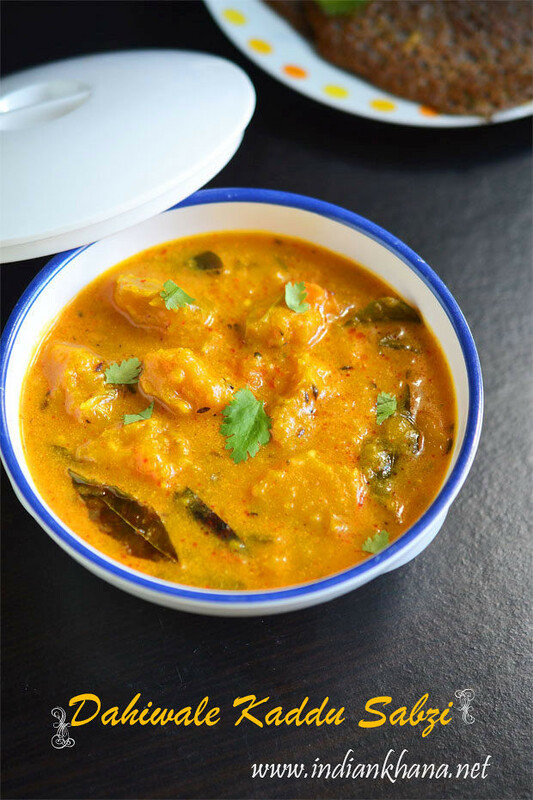 I have already posted peanut chutney normally which I make with red chilies and roasted gram too but one can adapt this chutney recipe remove coconut and make it as peanut chutney too. 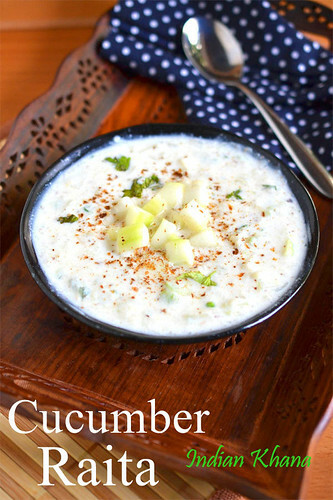 Cucumber raita is popular raita recipe also known as kheera raita or vellarikka pachadi with little different method of preparation but the basic idea of cucumber and yogurt remains the same :) Cucumber raita I wanted to post for long time but it was not happening until I made it for lunch recently with paratha and also since now Chaitra Navratri going-on I wanted to post something fasting related recipe, this raita is versatile we can make this during fasting/vrat or even normal days with just change of salt. 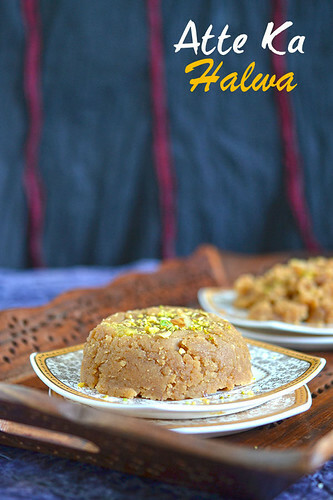 Atte ka Halwa or atta halwa is popular North Indian halwa recipe, in Gurudwara aate ka halwa is distributed as naivedyam/prasad and known as Kada Prasad. 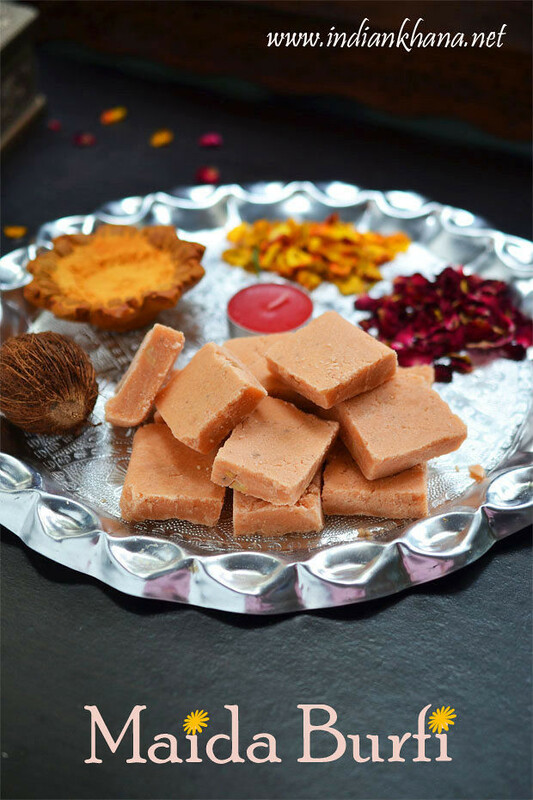 In our home atte ka halwa is more popular then sooji halwa and we love it more than any other halwa. 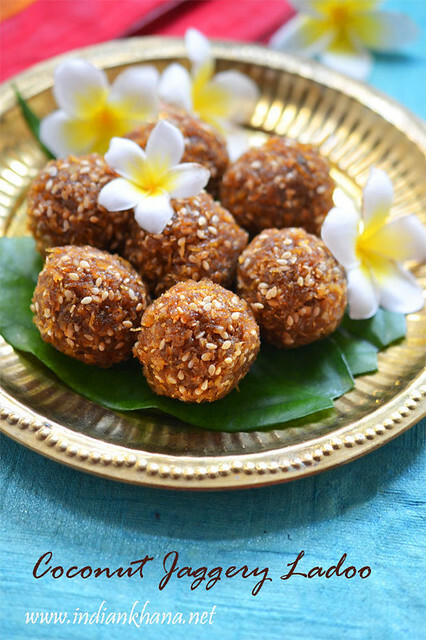 We make aata halwa more for breakfast than as dessert same as sooji halwa or during any pooja aate ka halwa, poori is distributed as naivedyam at home, temple etc.